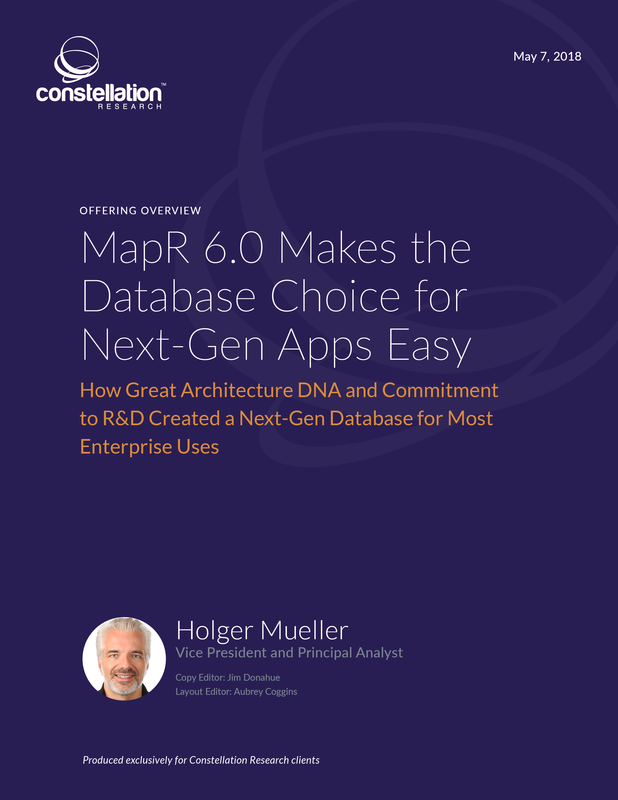 MapR 6.0 Makes the Database Choice for Next-Gen Apps Easy | Constellation Research Inc. This offering overview reviews MapR’s latest database product, MapR-DB 6.0. This report identifies key differentiators, measures MapR-DB against Constellation’s seven criteria for a next-generation database and concludes with recommended implementation scenarios.